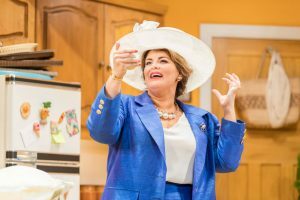 30 years on Shirley Valentine wows audiences in Milton Keynes! Willy Russell’s heart-warming comedy Shirley Valentine premiered in 1986 and took the world by storm. In celebration of its 30th Anniversary the first major revival of this national treasure is at Milton Keynes Theatre, from 27 March – 1 April. 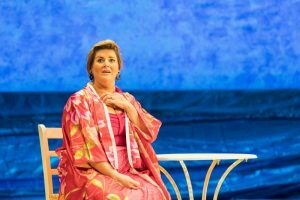 Shirley Valentine stars much loved actress Jodie Prenger in the title role. With a career spanning over four decades Willy Russell is undeniably one of the most successful playwrights of his generation. His plays, including Educating Rita, Blood Brothers, Our Day Out and Shirley Valentine. Jodie Prenger is perhaps best known for winning the role of Nancy in the West End production of Oliver! through the BBC television series I’d Do Anything. 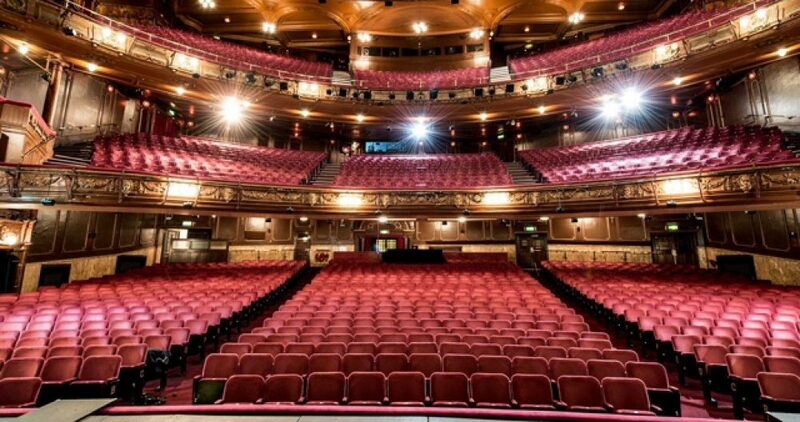 Most recently Jodie toured the UK in the classic musical Tell Me On A Sunday. She also played the title role in the national tour of the musical Calamity Jane and has starred in One Man, Two Guvnors both in the West End and on tour and as Lady of the Lake in Spamalot. Glen Walford, director of the original production, will direct this major revival. Shirley Valentine is produced by Adam Spiegel Productions (Motown, The Last Tango, The Producers, Dance ‘Til Dawn, Midnight Tango, Love Me Tender, The Mousetrap on Tour). This brillant masterpeice by Willy Russell is witty and not without pathos. It is hilarious at times but almost every line hits home with someone in the audience! This one-woman play is different to the film because all the other characters (and there are many) come alive through the actions and voice of Shirley as she converses with her best friend – her kitchen wall. I imagine having to learn this peice would even daunt the Dame Judys and Dame Helens of this world, but Jodie Prenger pulls off a stunning performance. Engaging with the audience from the first few seconds, she twists and turns around the kitchen whilst relaying life with husband Joe as it seems to her. Jodie Prenger has a wonderful natural comedy timing. I loved her use of the pause, often bringing an even bigger laugh. She is so perfect in this role that you would swear Willie Russell had written it for her! Congratulations too to director Glen Walford whose work made us believe we were really there in the kitchen with Shirley, just behind the wall she so often chats to. But the night is Jodie Prenge’s,r who made us all love and have huge sympathy for this character. Jodie makes her just so funny, so believeable and so strong with the use of her various talents and Willie Russell’s lines. In fact Jodie is so good in this that I’ve now completely forgiven her for Calamity Jane! Do please try to get to see this, I promise you’ll thank me afterwards for forcing you!